Based on my work on Beautiful Delivery with autonomous cross-functional teams (for more details, see Use Beautiful Delivery to Speed Up Your Digital Transformation), I have set out to define the different roles in a bit more detail. This time I will focus on the Agile Coach. The main responsibility of the Agile Coach is to make sure that everyone in the team works efficiently together. It’s kind of the opposite of the traditional manager that assigned and followed-up on tasks. Just to make the point of not being the manager, I often say that the ultimate goal for the Agile Coach is to make herself obsolete. In an autonomous team, everyone is responsible for everything. This means that there is no blaming each other for things that go wrong, and if a team member has issues working with the team, it’s also a problem that is owned by the whole team. The Agile Coach supports this view and assists the team in avoiding or removing impediments to its progress, whether internal or external to the team. As the name implies, this role is about coaching the team in the application of agile principles in order to deliver high-quality features fast. She often uses best practices like those included in Scrum, but rather than following a strict methodology, it’s more important to do things that makes sense to the team. The Agile Coach helps the team determining the definition of “done”, with input from key stakeholders. She also facilitates team events, and due to the constant refactoring, the practices often change based on the team’s experience. The Agile Coach promotes self-organization and cross-functionality, which helps in stimulating team members working together to complete tasks. The shared responsibility means that phrases like “I am waiting for” and “hand over to” are banned. Instead, everyone is encouraged to help each other, even with things that are outside of their skills. Everyone in the team should strive to maintain a multi-disciplinary competency, with a broad understanding combined with deeper skills in a number of areas, often referred to as a pi- or E-shaped skillset. The Agile Coach works with the Product Owner to maintain the backlog in a way that ensures the needed work is well understood, so the team can continually make forward progress. This includes the transformation of user stories into actionable tasks, and also to capture business rules. Important tools are those that support requirements and work management as well as workgroup skills and practices for group dynamics. 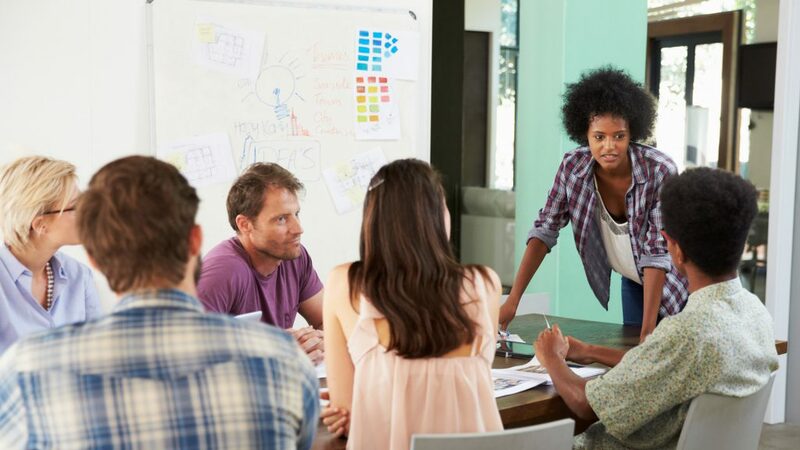 Just like most of the roles in an autonomous team, the Agile Coach is connected to other people with the same role in other teams, and that is how best practices can spread between teams.